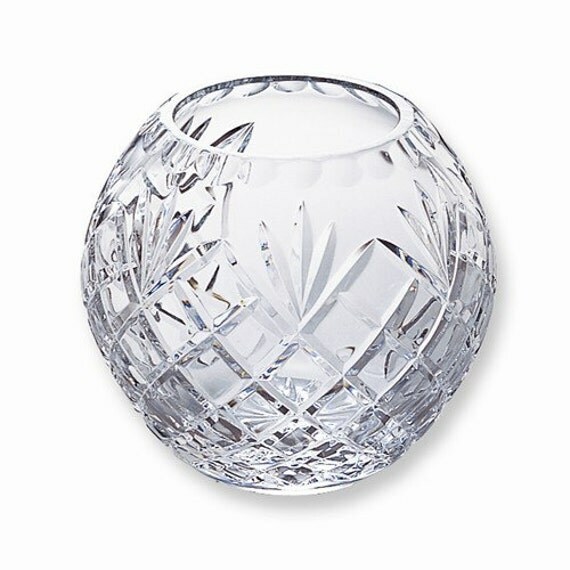 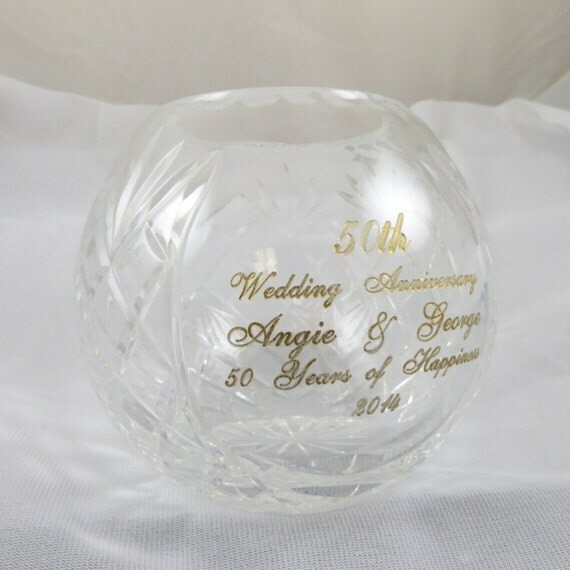 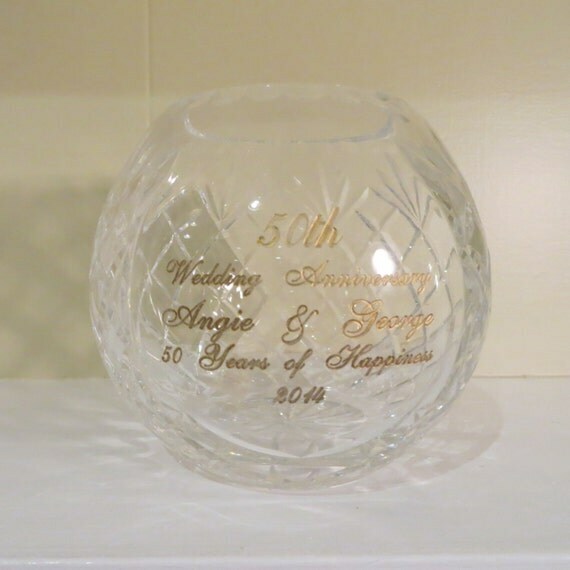 This etched hand cut crystal bowl makes the perfect Wedding Anniversary gift for any anniversary. 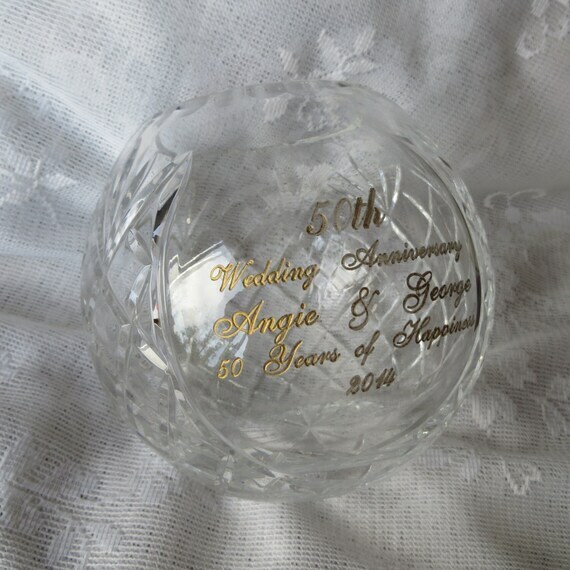 Etched lettering can be done in your choice of gold, silver or white. 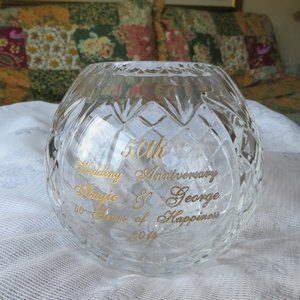 Anniversary crystal bowl measures 4 1/2" tall x 5" wide with an opening of 2 1/2" diameter.